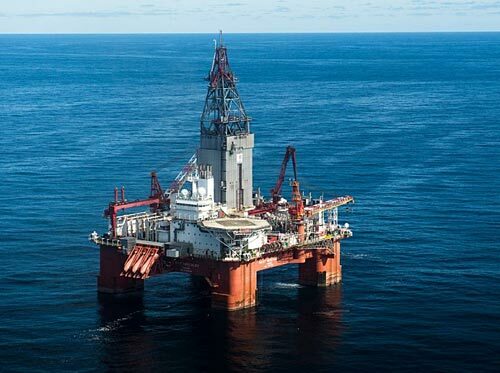 Statoil reports that the West Hercules semi-submersible rig has been contracted for drilling two exploration wells in the Barents Sea in 2018, and options to drill another five exploration wells. Statoil and the licence partners have signed a contract with North Atlantic Norway Ltd for use of the 6th generation West Hercules rig. The total estimated contract value is USD 15-20 million for the two permanent wells. Mobilisation and demobilisation are included in the amount, but remotely operated vehicles (ROV) and other services will be charged extra. Planned drilling start is late in the summer of 2018. “We have chosen this rig because it is winterised and ready for use in cold waters. We have used this rig before, both in the northern part of the Norwegian continental shelf and in Canada. We expect North Atlantic Norway to provide safe and efficient operations,” says Geir Tungesvik, head of Drilling and Well in Statoil.